After unlocking Suramar, level 110 players are eventually offered the quest Building an Army. Completing this quest will unlock a World Quest of the same nature, allowing players to repeat the scenario whenever the quest pops up. The quest requires Ancient Mana, an end-game currency, which summons an army of Withered NPCs. Players must then enter The Collapse, a scenario in Suramar, and use their Withered army to earn points and collect treasure chests. The Leyline Broodling pet has a chance to drop from chests found within this scenario. 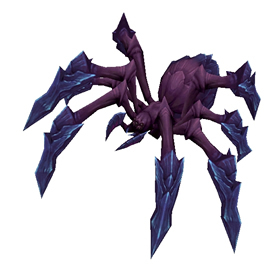 Pet comes from completing the scenerio - entered when accepting the quest http://www.wowhead.com/quest=43943/withered-army-training. This will probably take a few attempts as you need to build up the upgrades for your troops. This is a world quest after completing the first time, so isn't available every day. When demons, nightmares, and magic collide!